WE CAN ACCOMMODATE INDIVIDUAL GUESTS ON LAST MINUTE BASIS IN CASE THE HOUSE IS NOT OCCUPIED (IN THE OFF-SEASON), FOR THE PRICE OF 300 CZK PER GUEST PER NIGHT. 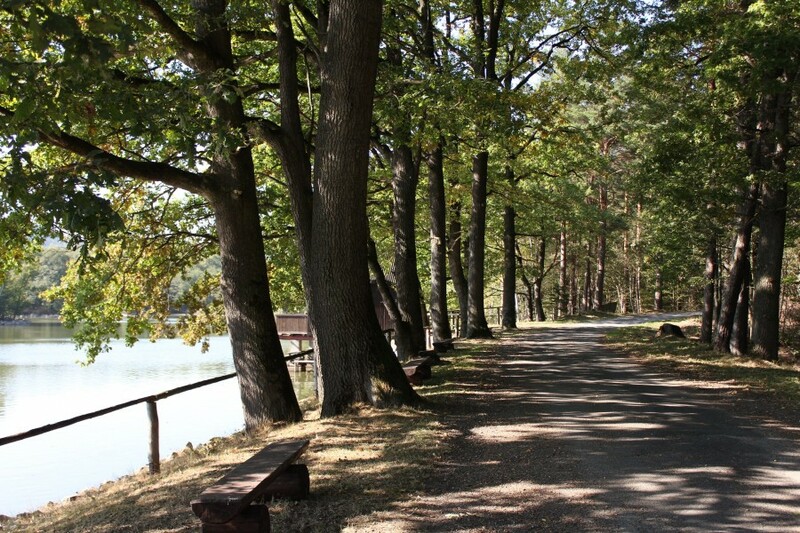 Accommodate yourself in this charming, smoke-free, comfortable 5 bedrooms 5 bath Villa, which accommodates 16 people in the heart of Černá Voda near the Rychleby Bike Trails, in the midst of beautiful nature full of lakes and flooded quarries. You can relax in our swimming pool, sauna, or play a beach volleyball on our sand volleyball court. There is also a kids playground. The Vila is also suitable for families with children. Children´s room comes equipped with toys. Price includes WIFI connection, towels, soap, duvet covers, water, electricity, heating, firewood, sauna, swimming pool. Please don´t hesitate to call us with any inquiries or special requirements. We will do our best to accommodate your every request. LIVING ROOM with heated floor, fireplace, fully equipped spacious KITCHEN and a DINING CORNER. Entrance to a 2 level HUNTING LODGE SUITE, which offers a spacious living room, large private terrace, small kitchen, bathroom, adjustable king size bed and on the upper level you´ll find a bedroom with 2 king size beds and one single bed.